If you like the look, ride and handling of the V70 wagon, but you need something a bit more rugged, try out the XC70. It offers Eurostyle with a bit of off-road verve. This car is very safe and has more "pep" than you might think. All-wheel drive "sport wagon", white with taupe interior. 2.5 liter 5 cylinder turbo engine. The turbo easily makes the engine feel like 6 cylinders. Seats very comfortable. Mileage is 19 city/24 hwy, but has been less with tires that last 80k miles. At times expensive to maintain, but worth it because of reliability and safety. 2007 Volvo: overall reviews and information. Child safety lock fails and cannot be permanently fixed by mechanics. Other than that the vehicle is reliable and comfortable. It has not had performance issues, nor any other problems. The car has just above 100, 000 miles on it despite it is age, so it is used less than cars made its same year. 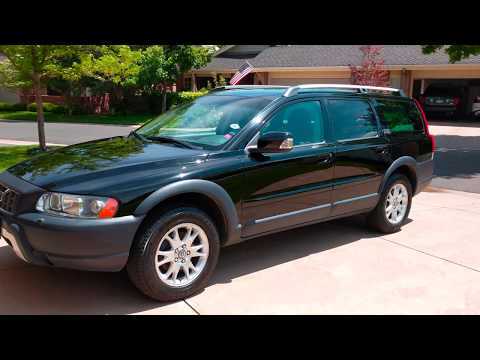 The Volvo XC70 drives like a car, but has the transmission and versatility of an SUV. My 2007 Volvo XC70 is such a fun car to drive. I love that it is sporty, all-wheel drive, and like my little nephew says, "It's built for adventures!" He's right! I feel extremely safe driving my Volvo, whether in town or on the freeway, in sunshine or the worst winter blizzard. How are Volvo&#39;s for Repairs and Maintenance?